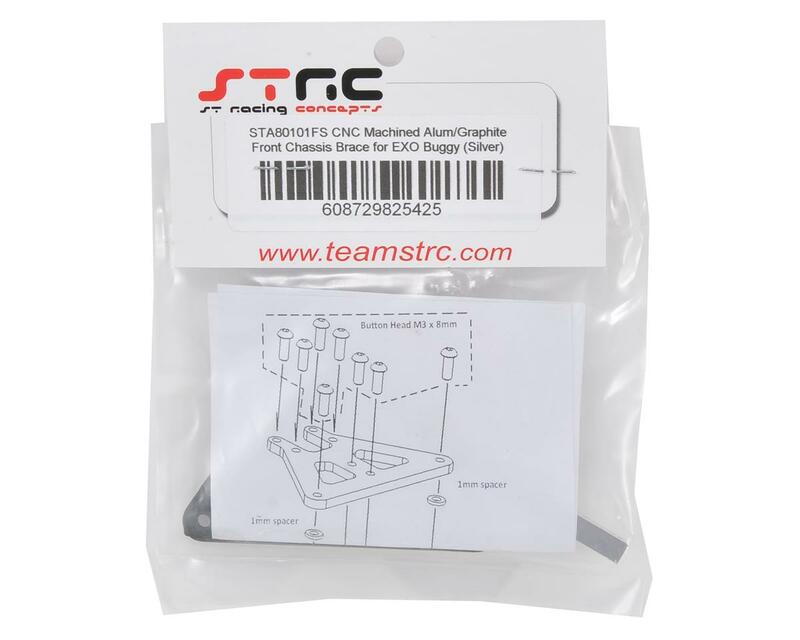 This is an ST Racing Concepts Aluminum and Carbon Fiber CNC Machined Front Chassis Brace Kit, and is intended for use with the Axial EXO Terra Buggy. 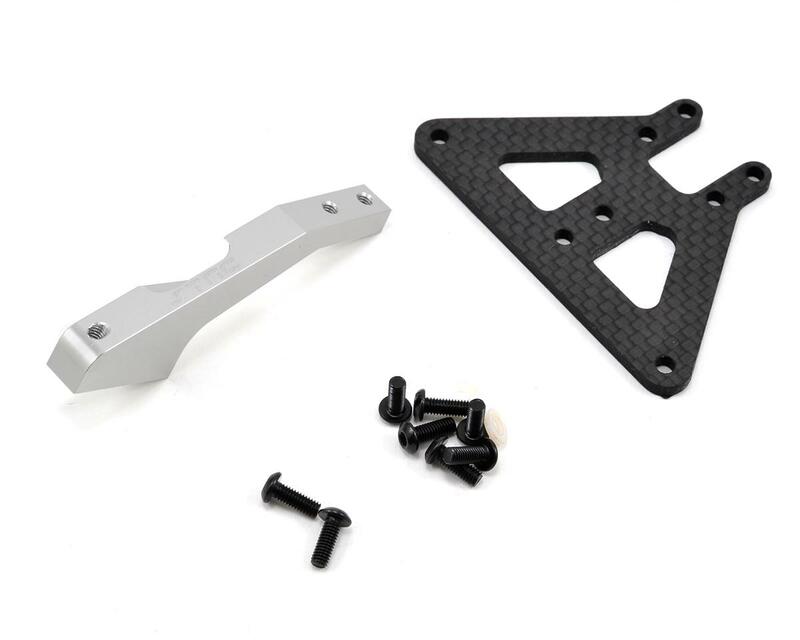 Replacing the stock plastic nylon pieces, this carbon fiber upper steering plate and CNC Machined aluminum chassis brace combination offer increased strength to the front end to the Axial EXO Terra Buggy while providing stylish looks. This kit includes all parts and hardware needed to assemble.